“Say Their Names” has become one of the most potent aspects of the ongoing struggles against racism, state violence, and sexual abuse in the United States and the world over. It has been deployed in opposition to police killings of African Americans, the violation of international human rights, and, most visibly of late, sexual predation. “Say Their Names” is vitally important because it refuses erasure. By acknowledging the persistent presence of people who might otherwise be rendered invisible, it empowers the targets of disempowerment. In this way, naming demands that we not only recognize but also remember and, as a consequence of both, take responsibility. As an historian, this strikes a resonant chord because the work of people in my field is really about memory, about remembering. Our scholarship plays a role in conveying to others a sense of whose lives matter, what events should be considered significant, and why. With this comes the responsibility that inheres in having made decisions about what stories to tell, how to tell them, and why they matter. I grappled with these questions in writing my first book, Native Activism in Cold War America: The Struggle for Sovereignty, which I published with the University Press of Kansas in 2008. 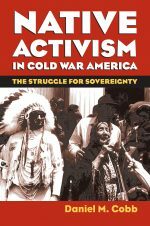 The book focuses on the period between the late-1950s and late 1960s, and I defined it this way because I wanted to recover stories of American Indian activism during an era that had been overshadowed by the founding of the American Indian Movement (AIM) in 1968, the occupation of Alcatraz Island in 1969, the Trail of Broken Treaties and Bureau of Indian Affairs takeover in 1972, the confrontation at Wounded Knee in 1973, and the Longest Walk in 1978. By concluding with the Poor People’s Campaign in 1968, I chose to end where most histories of twentieth-century Indian activism begin. It did so to decenter (without diminishing the significance of) the more familiar stories mentioned above. In so doing, I hoped that it might restore the presence of at least some people, places, and events that had been all but erased. Reinterpreting this critical period in American Indian history did other memory work, as well. 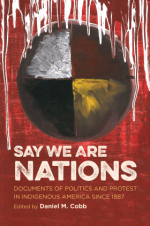 Native Activism intended to challenge conventional narratives about the Sixties in the context of United States and global history, which I consider incomplete if Indigenous experiences are designated as peripheral or marginal. Indeed, I came to realize that the individuals, ideas, events, and issues in Indian Country were at once shaped by and gave shape to the other histories of which they were a part—from the struggle for black equality and the War on Poverty to the youth movement and decolonization. They were at once distinct and inseparable. I have come to see all of the individuals featured in both of these books as part of a much older, vastly more expansive, and ongoing Indigenous political and intellectual tradition of countering colonialism—of demanding not only recognition but also remembrance and, as a consequence of both, the taking of responsibility. By speaking to the persistence of individuals, communities, and nations that might otherwise be rendered invisible, they empower the targets of disempowerment. If settler colonialism, to paraphrase anthropologist Patrick Wolfe, seeks to destroy to replace, these voices refuse such erasure. Given that we are now moving into the final years of a decade marking their fiftieth anniversary (and because of the profound sense of déjà vu inspired by our present moment), there could be no better time to remember the 1960s. There could be no better time to say the names of people whose lives defined the Sixties and to reflect on what meanings they hold not only in the context of their time but in the context of our own. For my part, I’d like to share the names of some of people that I wrote about in Native Activism in Cold War America, knowing only too well how many more could be included and deserve recognition.